Achieving the Dream, Inc., a national nonprofit that helps 3.5 million community college students stay in school and earn a college certificate or degree, has named Renton Technical College a Leader College. 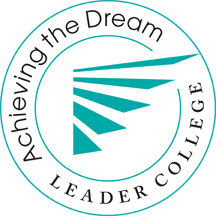 RTC joins 22 additional Achieving the Dream Institutions that have earned Leader College distinction. These emerging leaders join the ranks of now 52 institutions that have achieved Leader College status by raising persistence and graduation rates, closing achievement gaps, and changing lives. "The work of improving student success is very difficult, critically important, and urgent," said Achieving the Dream President & CEO William Trueheart. "These 23 institutions have carefully analyzed student outcomes evidence and have implemented sustained positive student-centered changes. They deserve enormous recognition for their focus on equity and excellence and for their extraordinary contributions to their communities and our nation." Renton Technical College increased the percentage of students who have earned a certificate or degree or are still enrolled from 61% in 2007-2008 to 74% in 2010-2011. This improvement is associated with the Reading Apprenticeship program that helps students improve their reading comprehension. The Reading Apprenticeship program has been scaled to reach 53% of workforce students. Renton Technical College President Steve Hanson stated, "We are proud to receive national recognition for our commitment to student success and institutional improvement. As a Leader College, we will continue to promote policies and practices that support student achievement as we mentor other Achieving the Dream colleges and work together to improve college completion rates."